It’s not cheap but it's far from overpriced, and the spec-sheet on the MSI Trident X ticks far too many boxes to get tripped up by lacklustre looks. The pitch for MSI’s Trident X isn’t difficult to grasp, nor is it particularly unique. As far as one-size-fits-all-so-let-us-handle-the-messy-parts gaming desktops go, it’s a pretty typical example. The idea here is that some consumers want gaming PCs that fit the best components out there into the smallest case, and they’re willing to pay the premium to not have to deal with the hassle of bringing that request into reality. More to the point, they want a gaming PC that functions more-or-less how a gaming console does. And the MSI Trident X fits that expectation nicely. Picking up there the Vortex G25 left off, it’s beefier - both in specs and form-factor. This is probably something that’ll either thrill or disappoint you. 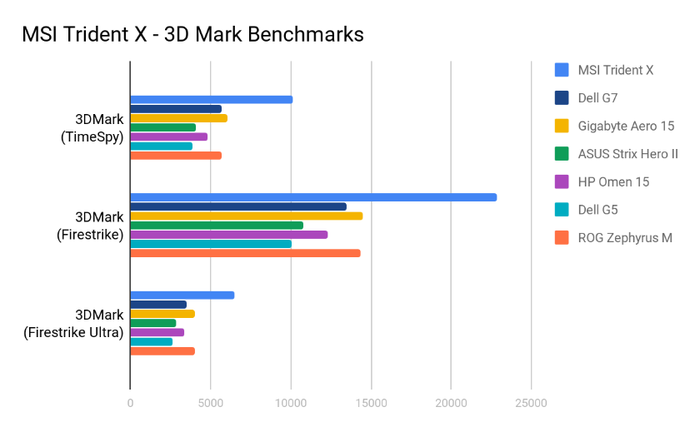 I felt like the Vortex G25 hit the sweet spot but if you’re after Nvidia’s GeForce RTX hardware, that’s ultimately the trade-off MSI are asking you to make. The Trident X is a super-slim, super-powerful gaming PC - but you’re not going to mistake it for a console anytime soon - which means its biggest competition is arguably the idea that you could build something like this yourself. What do the specs of the MSI Trident X look like? What did we like about the MSI Trident X? If there’s anything that stuck with me about the Trident X, it’s the sense of snappiness that tints every edge of the experience. Aesthetically, this looks like every other MSI-branded gaming PC out. It looks nice enough but it’s lacking in flair, personality or identity - all qualities that are found in both the Trident X’s direct competition and, potentially, the custom machine you might build instead of buying it. Simply put, there’s not much here to get attached to here. However, the flipside of that, is that the MSI Trident X is about as plug and play as gaming PCs get. By default, it runs a super clean and simple version of Windows 10, and it only really takes a second to boot up fully. And, after installing a few games on it, we had a great time with the MSI Trident X. If anything there’s a sense of honesty here. No fussing around or making things more complicated than they need to be. You just turn it on, open the game you want to play and you’re off. If you want to use it like a normal PC, you can totally do that. If you want an express lane to your live-service game of choice, this is a great (albeit expensive) way to get that. Your favorite game is never more than a few seconds - and clicks - away. And no matter what we loaded up, we had a consistent performance on pretty much everything here - even when we cranked the settings all the way to the max. The MSI Trident X managed Monster Hunter: World on the highest settings with a near perfect 60 FPS. We got more or less the same experience with Apex Legends and Devil May Cry V.
What’s more, when it runs, the MSI Trident X tends to run really quiet. It uses the same CoolerBoost tech found in MSI’s laptops but honestly, I noticed the absence of noise way more with the Trident X than I did in fare like the GF65. What did we think of the MSI Trident X’s performance? Again, we came away really thrilled with the performance the MSI Trident X. This thing has a pretty high-end spec sheet, and it delivered the performance promised. 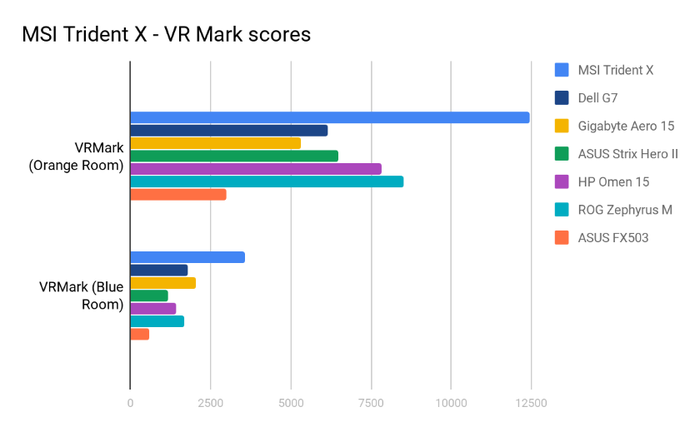 If anything, it’s a healthy reminder that while gaming laptops continue to become more powerful, the things you can get away with in a larger screenless form-factor remain formidable. 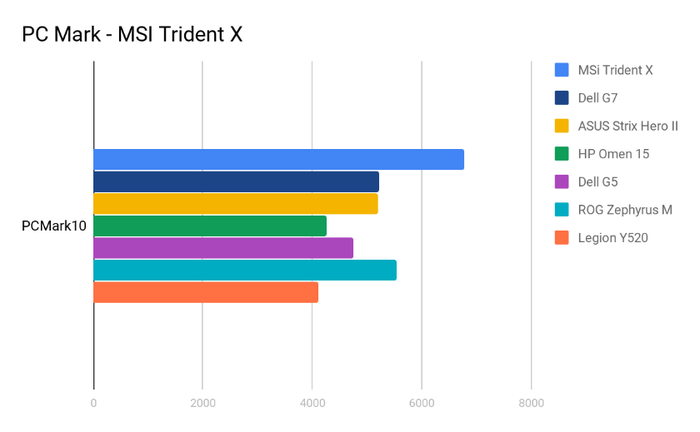 As far as benchmarks go, the MSI Trident X raced ahead of pretty much everything that we could compare it to. We haven’t actually reviewed many desktops lately, so our primary reference point here is high-end gaming laptops that occupy a similar price point like ASUS’ Zephyrus and Strix PCs or Gigabyte’s new Aero 15. And the MSI Trident X dominated them all, across the board. How much would it cost to build a custom desktop like this? Stripping out the elements of the MSI-produced Trident X that are more difficult to replicate (such as the cooling system and their Nahmic’s 3D sound tech), we loaded up PCPartPicker.com to see how much it might cost us to put together a custom desktop that was comparable to the MSI Trident X. The idea here isn’t so much as to see how overpriced the Trident X is compared to a custom build but more to highlight how much you’re paying for those aforementioned extras. And to our surprise, we actually couldn’t manage to put together a build that matched the price-tag. 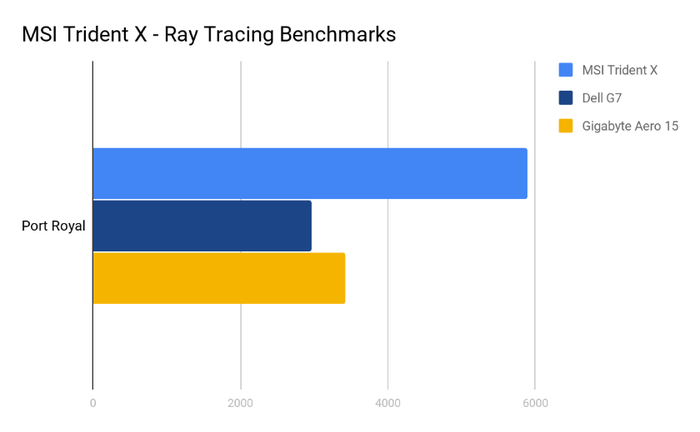 Unless we cut corners (for example, opting for an 8GB RTX 2080 rather than the 11GB found in the Trident X), we usually ended up slightly above where the regular pricing for the Trident X sits. If anything, the MSI Trident X looks to be a bargain - assuming you see the OEM’s stable of bundled features as advantages and not bloatware. What didn’t we like about the MSI Trident? Again, there’s a lack of identity or distinctiveness to the MSI Trident X that I did find a little perturbing. It just looks like any other gaming desktop, it’s not as thin or light as the Vortex was and it lacks the striking silhouette cast by comparable counterparts like the Alienware Aurora or Acer Predator lineup. In a space where having ‘too much’ personality all too common, the Trident X feels like it swings hard in the other direction. 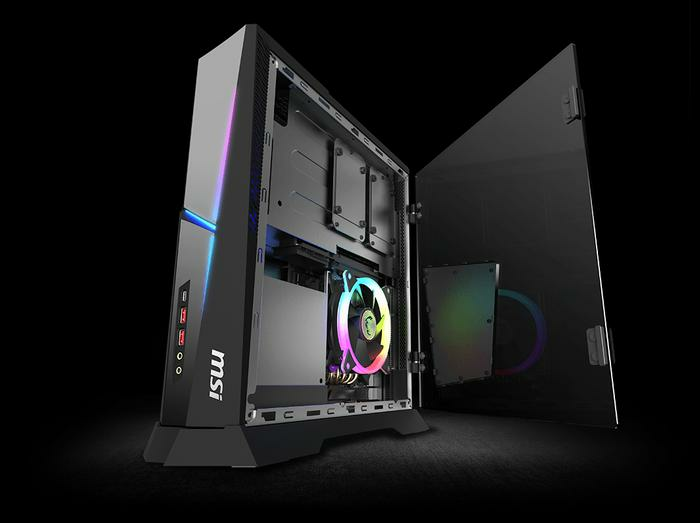 This is disappointing because, unless you’re looking for something a little more low-key, you probably want your $3500 gaming desktop to look eye-catching in some way - and the Trident X just isn’t. I was also a little surprised that the MSI Trident lacked the Killer Wi-Fi networking kit found in most of MSI’s gaming laptops. This is by no means a dealbreaker, but it did strike me as an odd omission. The Bottom Line: Should you buy the MSI Trident? If you want a gaming PC that’ll catch the attention of anyone who walks in the room, this probably isn’t it. There are more striking options out there with pretty close to the same specs. That said, if you’re after a gaming desktop that includes pretty close to the best components you can find and works out of the box in seconds, the MSI Trident X makes a strong case for itself.